I was trying some iOS development around Samba and found your uploads on GitHub. Nice work! Appreciate if you could help me out here. Can you send the me the whole log? Maybe create a bug-report on github. Hi, I also hit this error (_tango_evaluate_response_header(): NT_STATUS Level is 0003 with value 000d) on linux server with samba service turned on. The weird thing is that I only got this error for some directories while others just work. I open a bug report on github. Can you take a look ? I also encountered the same issue when trying with linux samba. Any way to handle this? Thank you for posting the source. I can’t say I will do anything with it, but it is a nice start. anyway, I have attempted connecting to share drive on Win7/WinServer2008R2 and some NAS. In the end, I got the same error result like below..
_tango_evaluate_response_header(): NT_STATUS Level is 0003 with value 006d. I will create a bug report on github as well. Thanks for your help, Daniel. it works well with Buffalo Ministation NAS. The only issue unicode, which is not supported. Are there any plans to fix this? Hi I am trying to fix the problem I found with no avail. And I have another question now. I find that you set the information level for TRANS2_FIND_FIRST2 to 0x01, but when I used wireshark to capture the value other samba client set, they seem to set to 0x0104 most of time, I tried to set to that value (I think it repents SMB_FIND_FILE_BOTH_DIRECTORY_INFO, right), but don’t know how to parse the response then. So why do you set information value to 0x01 ? I also was trying to learn the basics of the library and thus just used whatever seemed simplest and worked at the time. So, no special intention to use 0x01. On page 82 of this document (http://networks.cs.ucdavis.edu/~zhuk/research/sans/documents/CIFS-TR-1p00_FINAL.pdf), you can find the list of possible values and yours actually is another alternative; you only seem to get back the found files; the 0x1 i tried also hands back some creation/modif dates of the file. Maybe yours is a simpler/better approach. I also see that in line 407 i put in a padding that I am not sure why. Because it is nowhere described in the spec but was required for my windows share at the time. maybe this messes something up for you. So did you get a chance to debug why your codes only work for the directory name whose length is odd number ? Hi I found a way to fix the problem although I don’t know the root cause of the problem! 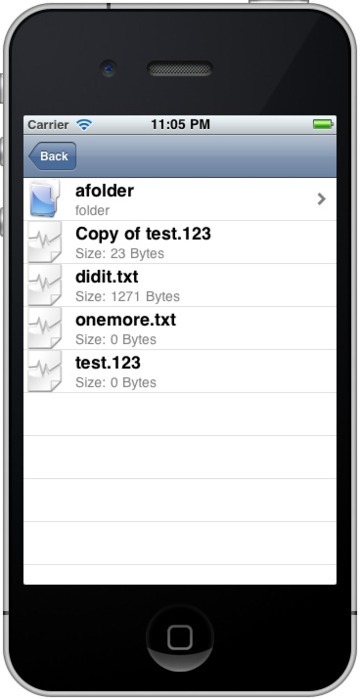 So as I found current codes only work for the folder whose name’s length is odd number. Then I further found that it may be because for even number folder name, the data size we set in _tango_TRANS2_FIND_FIRST2 is incorrect! Say I have a folder called “abc” and another folder called “abcd”, when I turn on the macro VERY_VERBOSE I find that they both print out log “Bytes to send (including nbt-header! ): 89”, apparently for “abcd” folder the bytes to send should be 90. So I add this line to correct data size and codes work now! But I examine your code carefully and can’t find out why we need to +1 for even number. But doesn’t this check actually do the opposite work it was supposed to do ? Ok, the wording here is a little bit confusing: the tango library does not support extended security. So, the functions returns an error because it does not support the capability of the server (the server wants to use some extended security features; the server supports it; we don’t). The reason why the server is sending different responses for the call via tango and a regular samba client might be that in the negotiate-protocol request we already provide a dialect we support. i guess the server adjusts its capabilities based on what “capabilities” the client has. Hi I have trying to add unicode support to your library and find that it is too difficult. Sorry. Now I am studying jcifs codes to see if I can port it to object c.
Hi I am using GCDAsyncSocket and have already implemented the function of browsing files and directories (with unicode support). Hi, qiulang, did you have any success with implementing reading and writing of files on Windows network shares using objective-c? Yes, with the help of wireshark I have managed to do that. Great, this is the exact functionality I’m looking for. I am currently developing a small in-house iPad productivity application at a small Australian company. The app would copy job data to servicemen’s iPads daily. Would you be interested in sharing a part of your resulting code for a fee? Please e-mail me: dmitry AT puratap DOT com or reply here. Hi I’m trying to use your library to connect a network share drive in iPad. Is it ok to use your library to creat apps and submit to apple for review. I afraid they will reject it due to private API. Please advise. Thanks so much :). Does anyone know how to solve it >_<? I myself only tested the library on Win XP. I heard from other people that there are problems in Win Vista and 7 because the authentication-mechanism has changed. Currently, I have no time to get this fixed though. Regarding your initial question: there should be no reason why apple should reject your app because of this libarry. There are no private APIs used. Thanks for your reply. Then I have to modify the authentication-mechanism part to support Window Vista/ 7. Is it diffiuclt to do that? I have no knowledge on smb protocol haha….. By the way, do you have any website for reference? Thanks again! I also used no extended security negotiation, NTLM v1 and I was able to login window xp and window 7. So I suspected tango implementation for authentication-mechanism has some problem. Was the Windows 7 machine you connected to in a network domain or in a workgroup? Actually I do not know. I just need its IP address to connect to (of course it is inside our corporate intranet). So it is possible to skip the extended security negotiation and connect to Window Vista / Window 7. Could you please tell me how to modify the tango library to do it? Many thanks! Any chance that this supports IPv6? 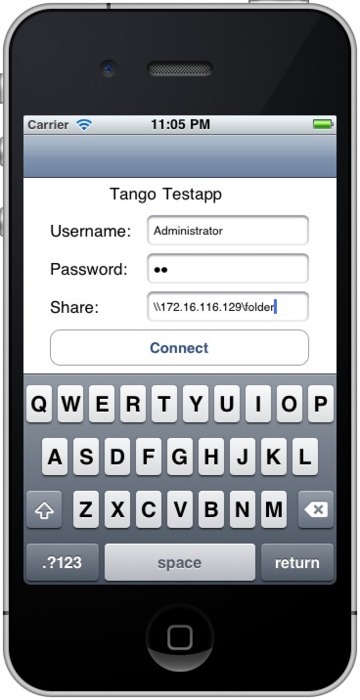 _tango_SESSION_SETUP(): Only logged in anonymously. Nice work done. Can u please help me on how to get access of shared folder on mac system ? I have the sam e problem. Has anyone managed to get the authentification done for windows 7?